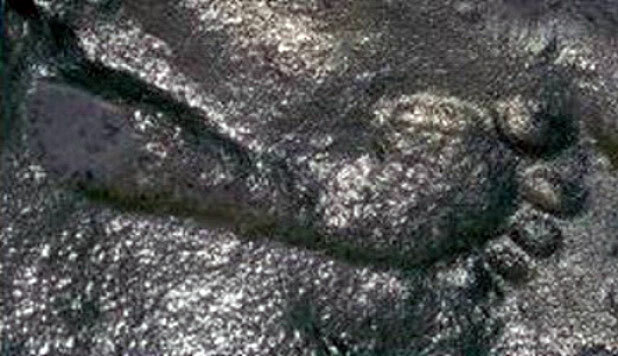 Most people are familiar with Lord Hanuman, the great devotee of Lord Rama mentioned in the Ramayana, but not everyone is aware that there are still physical traces of his ancient presence on earth in the form of his giant footprints left impressed into the solid stone where he lept and landed in different countries. 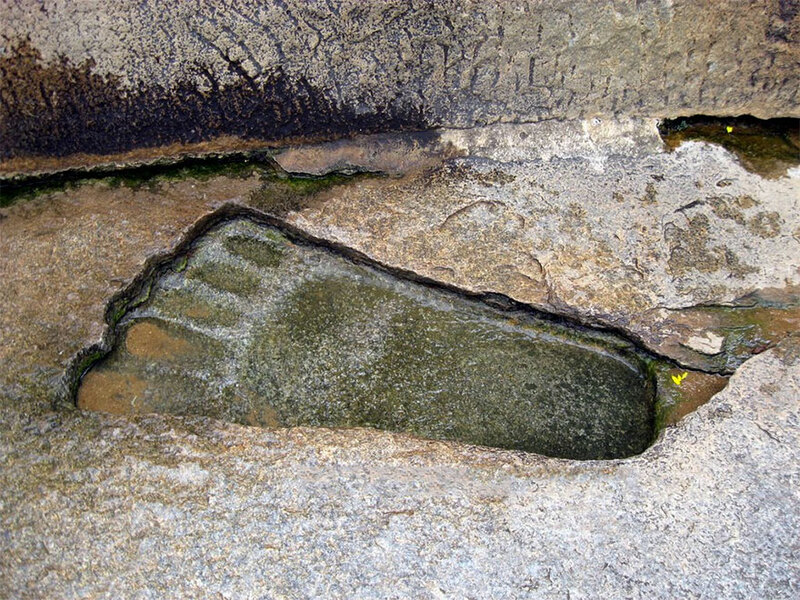 Below we will show you four such places where Lord Hanuman’s footprint can be seen, as well as some examples of other giant footprints throughout the world, some of which are hundreds of millions of years old. 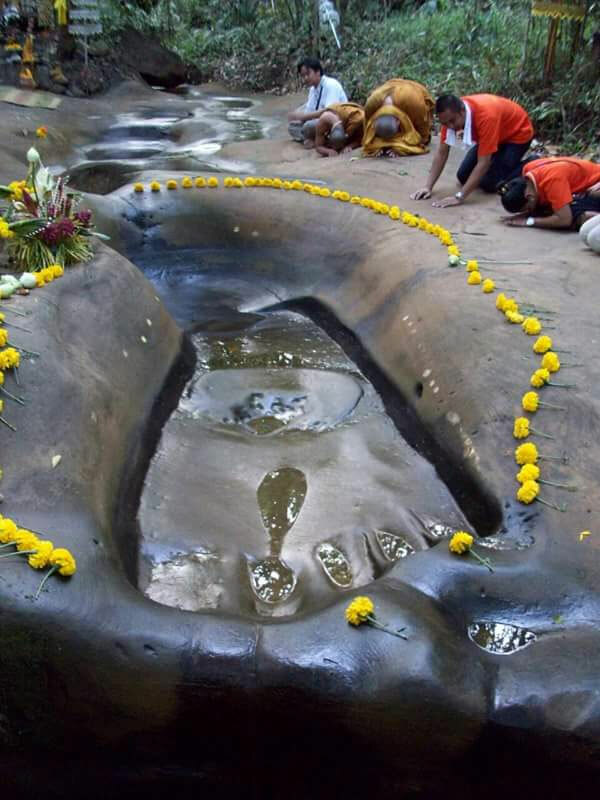 This above picture is of Lord Hanuman’s footprint in Thailand. In Thailand there is a book called “The Ramakien” which means “The Glory of Rama”. It is a Thai version of the ancient Sanskrit epic Ramayana. The ancient capital of Thailand used to be named “Ayutthaya”, which is named after Lord Ramachandra’s capital of Ayodhya in India. The present capital of Bangkok was originally a small trading post of Ayutthaya, located 40km away. 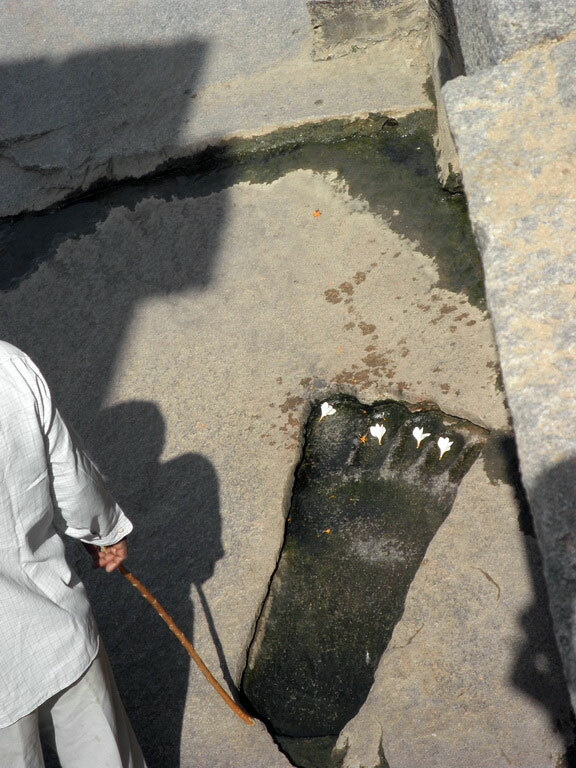 The next three pictures show the footprint at Lepakshi in Andhra Pradesh. Some legends say the footprint is of Lord Hanuman, and others say it is the footprint of mother Sita. The historic town of Lepakshi has a connection with an occurrence in the Indian epic of Ramayana. While Ravana was kidnapping Sita Devi and heading towards Lanka a bird named Jatayu had battled with him. He could not fight for long and fell at this place. According to the Valmiki Ramayana, Lord Rama accompanied by Lakshmana met the dying bird Jatayu at this spot. They helped him attain moksha by uttering the words “Le Pakshi,” which is Telugu for “Rise, bird”. Hence the name of the place has become Lepakshi. 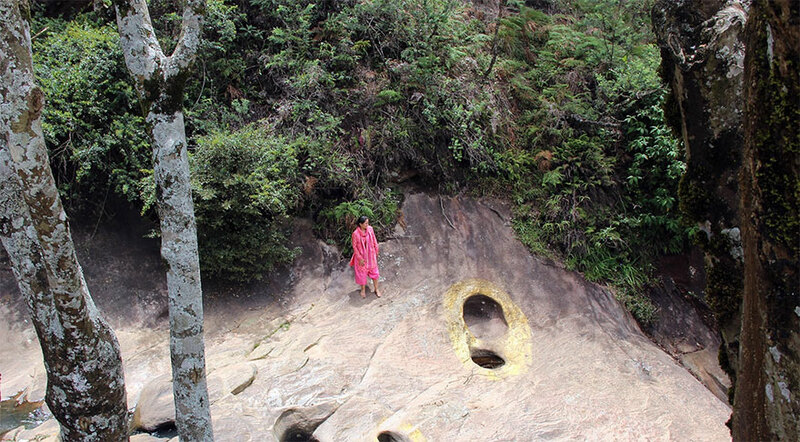 The next picture is of Lord Hanuman’s footprint in Sri Lanka. 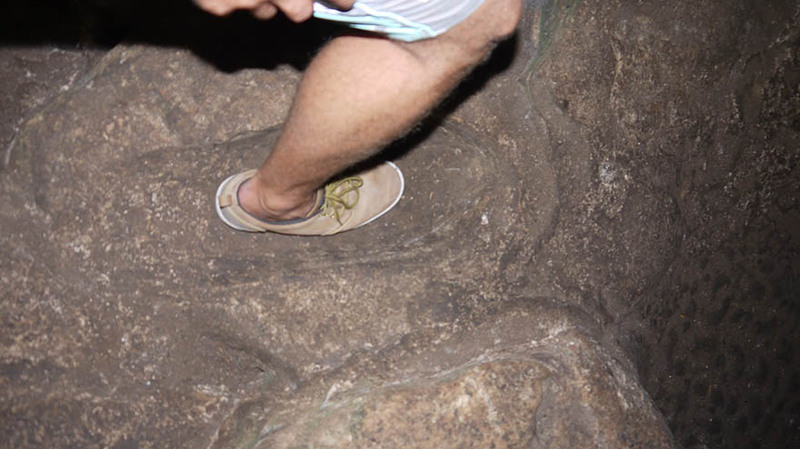 It is believed that when Hanuman lept from India to Sri Lanka he landed at this spot and the force was so great that his footprint was left pressed into the solid stone. 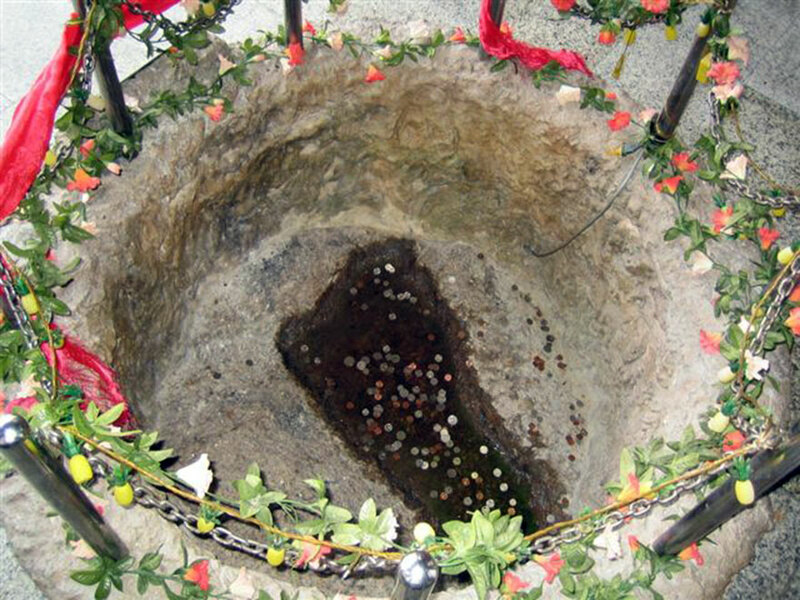 In Penang, Malaysia there is also a footprint of Lord Hanuman, which is kept within a small temple. In the next picture you can see the footprint. Visitors throw coins on the footprint for good luck. 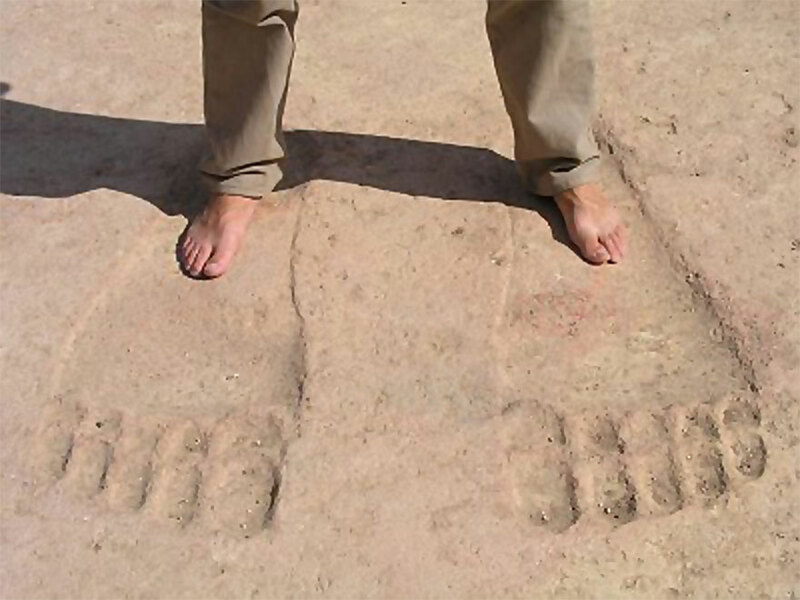 Besides these footprints of Lord Hanuman, there are many other giant footprints found throughout the world, which reveal the presence of super powerful beings on the earth in ancient times. In our Hindu scriptures we find countless references to powerful beings in the previous ages. Besides the presence of Devas (Demigods) visiting to the earth, there were many other higher species of humans such as the Yakshas, Rakshashas, Vanaras, and Gandharvas. Descriptions of these people found in the Puranas show they were often gigantic in size, flying in celestial airplanes that could travel from planet to planet, and wielding powerful weapons that were more effulgent than the sun. In fact, J.R. Oppenheimer, the father of the atomic bomb, after the first successful test, quoted from the ancient Hindu scripture Bhagavad Gita to describe the weapon he had just invented. He also once hinted at the possibility of weapons on par with the nuclear ones he was working on having existed in previous eras, particularly those of the Ramayana and Mahabharata. Oppenheimer also claimed that, “access to the Vedas is the greatest privilege this century may claim over all previous centuries.” So while some people are quick to call our ancient scriptures as mythology, those who have scientifically studied the matter are more apt to consider them as actual ancient histories of the world. 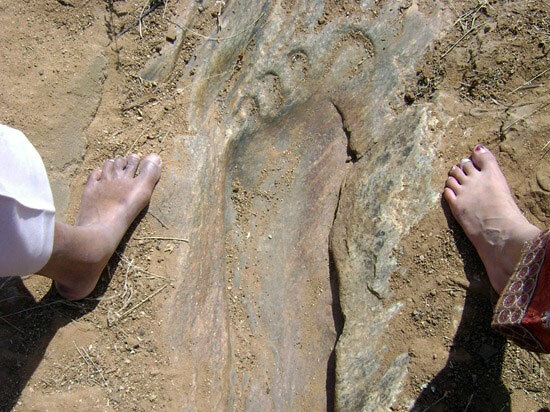 Some of these footprints are hundreds of millions of years old, such as this next photo of a footprint that is over 200 million years old in South Africa. Of all the world scriptures, only the Vedas contain references to vast time spans, covering millions, billions and even trillions of years. Further, only the Vedic scriptures state that man has existed on this earth for hundreds of millions of years. The Vedic view is that there are many major and minor cycles of destruction (called pralayas) that occur over the life of the universe, which lasts trillions of years. Just as there are seasons in the year, so there are also four cosmic seasons called as Yugas. The total time span of the four cosmic seasons is 4,320,000 years. Between each Yuga there is a partial dissolution in the world, where the world is destroyed through flood, fire and other natural disasters. The present age of Kali Yuga began 5,117 years ago, which also matches closely to both the Mayan calendar for the last destruction, and the Bible’s narration of the flood on the earth. The Vedic scriptures describe that the present Kali Yuga is an age of evil, selfishness, destruction and all bad qualities. The word Kali means war in Sanskrit, so Kali Yuga means the age of war and destruction. The Vedas tell us that in this age the celestial beings who used to visit the earth avoid the earth due to the darkness of the age of Kali. That is one reason why today all we find are remnants of their presence in the form of their ancient footprints in stone. 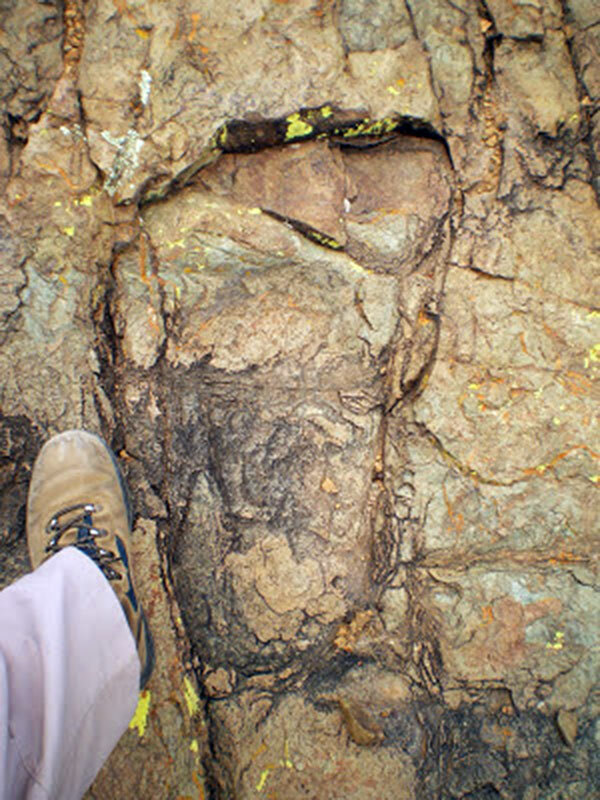 A perfectly formed 290 million year old human footprint found in New Mexico. 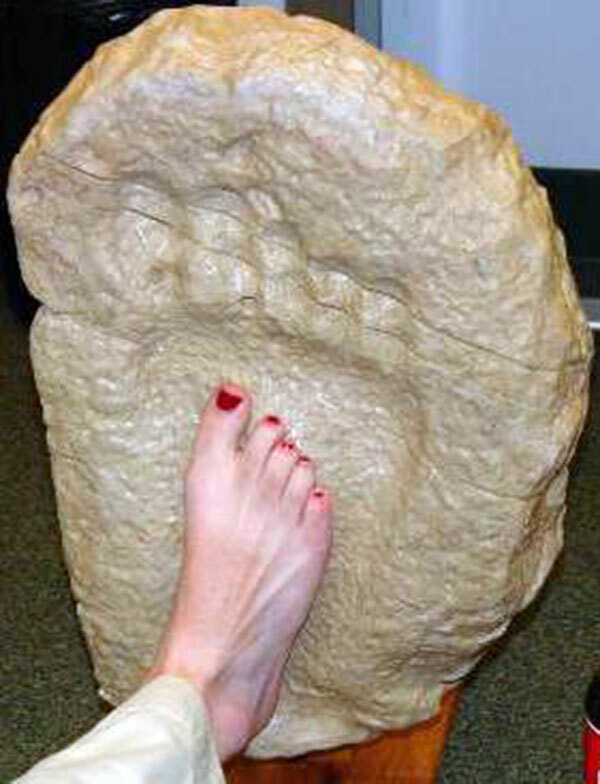 Good Article on giant footprints. 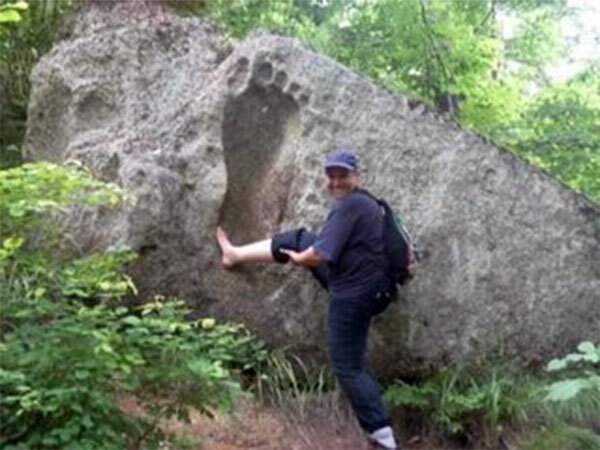 fantastic… just one more step is needed to convince westerners… how do you make sure this is Hanumanji’s footrpint… some research is needed. Why foot sizes are different…??.. 🙂 …..
Hanuman had the power to change his form, and did so throughout the Ramayana as needed. Our next generation of pseudo sekulars should know this -there is a concerted effort after independence to demean every indian history connected with hinduism by the sekular gang. excellent effort to bring out these photographs. No one can claim that some sculpturer toured all over and did this. But there must some reason in its presence in so many countries, especially including India. But claiming all of them belong to Jai Hanumanji only could be a questionable one. Is there any legend after Ramayana, escaped from our historians. Even if one accepts that these are Jai Hanumanji’s feet, there must me some reason/story ( Ithikas) for his travelling around the world, when Ramayana depicts as having happened only between India & Sri Lanka. or is it earlier Man could be with that physical stature. No joke or fun. Jai Sri Ram! Jai Hanuman! Hanuman Ji could change his size at will. precious. Hanuman left His mark in more ways than we can imagine. It is an extremely nice presentation. I am reminded when a highly spiritual classmate in college in 1947 told me that people in the past were 18 ft tall. In fact Vedas are true knowledge but if one is capable enough to understand it. Just simple worldly knowledge cannot understand it. Secondly, if you know a lot about ‘Kundalini Shakti’ you can understand the power to fly and what is meant by eating the Sun by Hanuman ji. He had mastered that power even during childhood and was a real super could capable of doing anything. All respects to the author of this article. 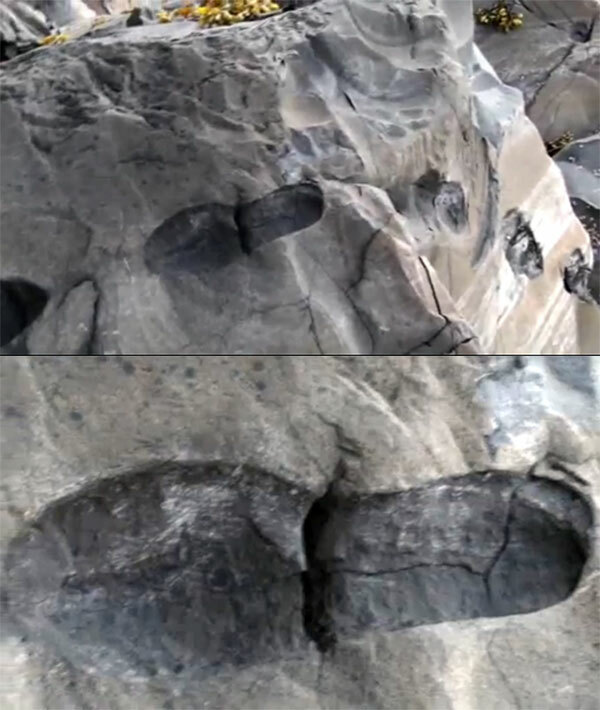 Good information about the giant-footprints .Thank you for this information. Thanks for sharing the valuable information, Really it is very interesting. Based on this reference, it clearly shows the Lord Hanuman existence on this Earth!!! We have heard that Ramayana occurred some time during 7300 BC. I feel that calling this millions of years is some what erroneous. Also, I feel the Hanuman’s movements were confined only from Himalayas to Srilanka according to puranas. I feel it is exaggeration to say that his foot steps were seen all through the earth, from Alaska , Syria and all. Hope this would be understood rightly. 1.) According to the yuga system mentioned in the Puranas the Ramayana occured in the Treta Yuga of the 24th Divya Yuga of present Manu (We are currently in the 28th Divya Yuga). One Divya yuga is 4,320,000 years. Thus 4 Divya Yugas prior would have been 17,280,000 years ago. 2.) 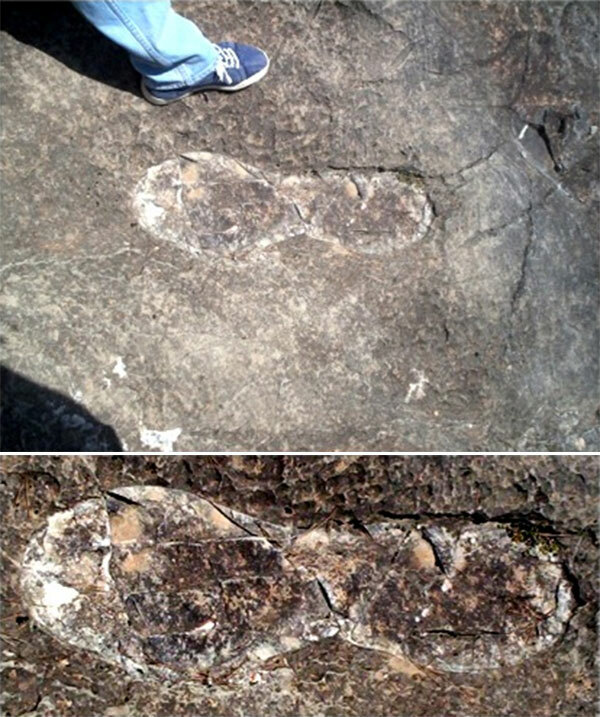 The numbers of hundreds of millions of years for some of the footprints are not in reference to Hanuman, but other footprints found throughout the world. 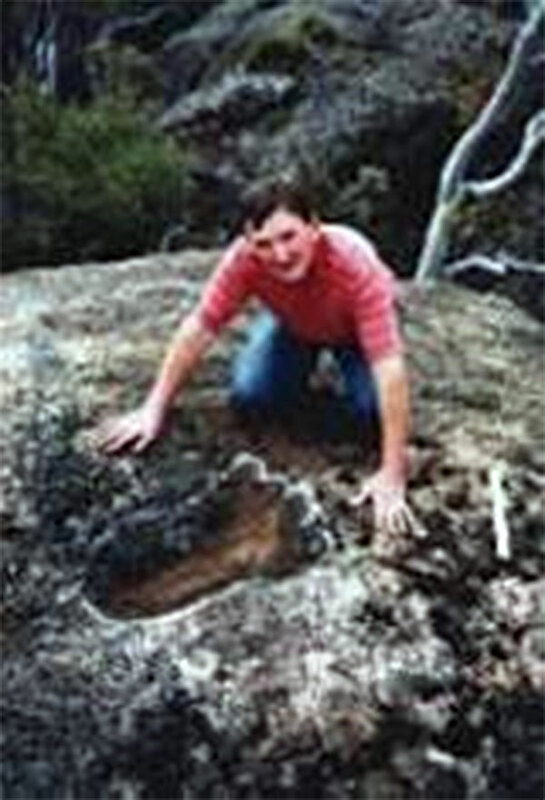 The date is determined based on the age of the stone in which they are imprinted, which can be determined scientifically. 3.) 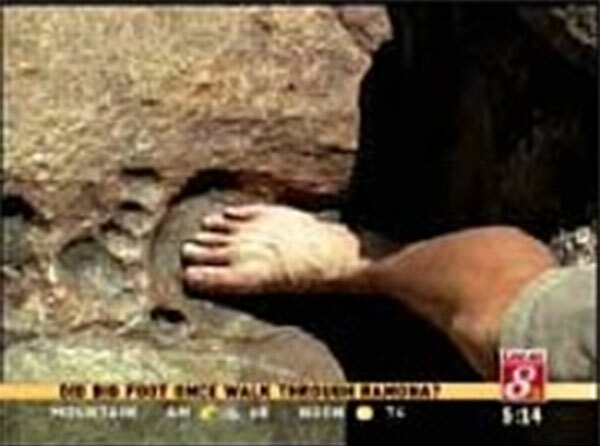 The article above only states that 4 locations are believed to be the footprints of Hanuman (those in Sri Lanka, Andhra Pradesh, Thailand and Malaysia). 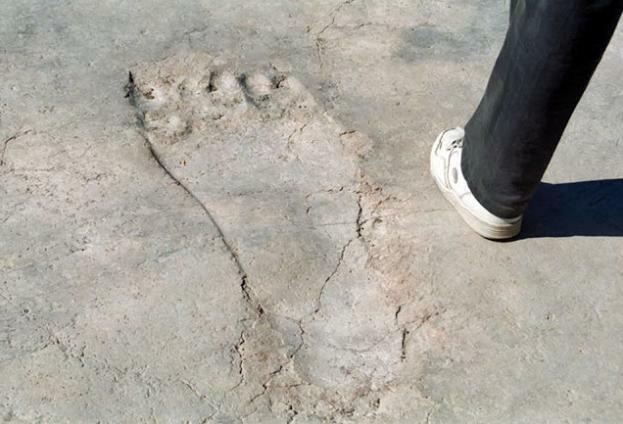 The other foot prints are not claimed to be those of hanuman, but are offered to show that this is a common theme throughout the world, that in ancient times there were more powerful beings who roamed the earth. Who knows that at that time there were places like Paraguay, alaska etc? There had been several tectonic movements over the centuries. Hence, easiest way is to believe the fact over the years we are gradually getting diminished not only by size but in all aspects. Excellent collection of footprints from different Countries. This is a proof that Ramayana and Mahabharata happened in real and Lord Hanuman visited the whole Universe not only the present earth, but also other planets. He had the power to fly anywhere in the universe. I fully appreciate the hard and smart work done by the team of people to collect the footprints. I am from Malaysia. 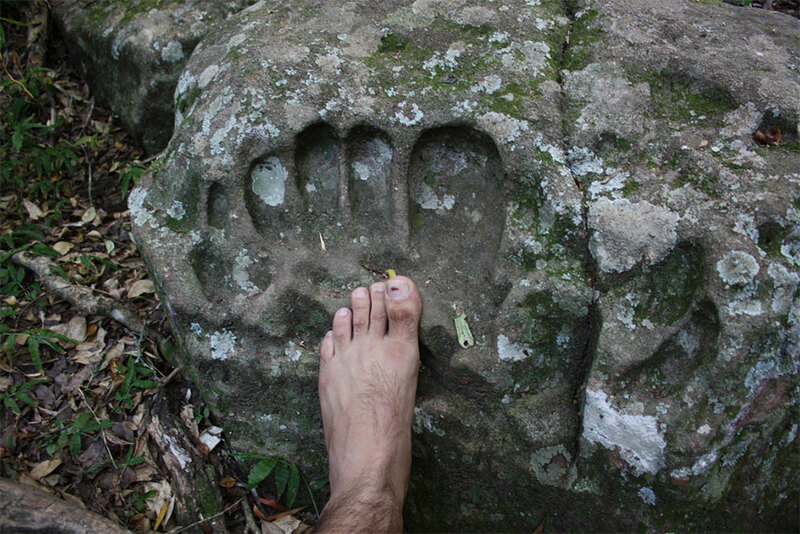 You had written there is footprint of Hanuman in Penang.Please advise more details as I wish to visit the location. 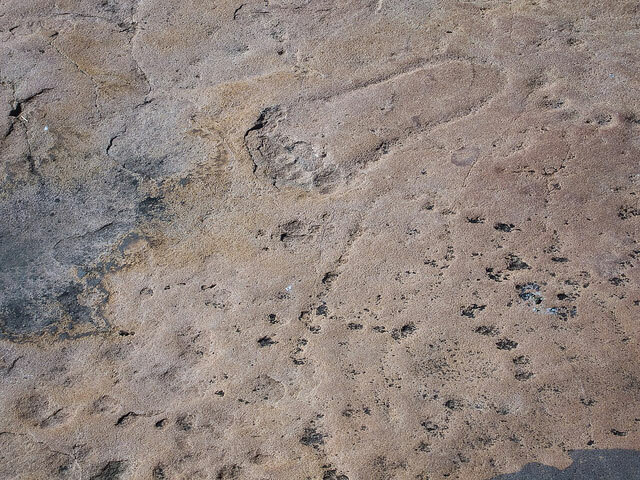 Could these not be foot prints carved by ordinary human beings like rock carvings? Just wondering. Great article ! Our ancient Vedic sciences are really great. Informative. It is an evident for our Great Epic Story. No words to praise your work. This should create an awareness in one and all about Rmayana and Hinduism and work to revive it. 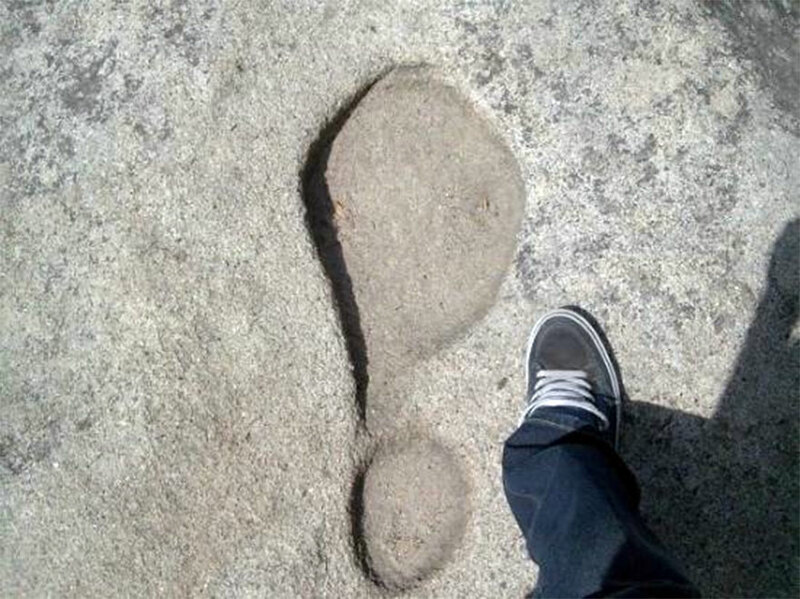 giant foot print at Bhojpur. I sincerely wish that people believe these photographed facts given in this article. Shun the non-believers who tell this as concocted story. little bit more about our ancient history. 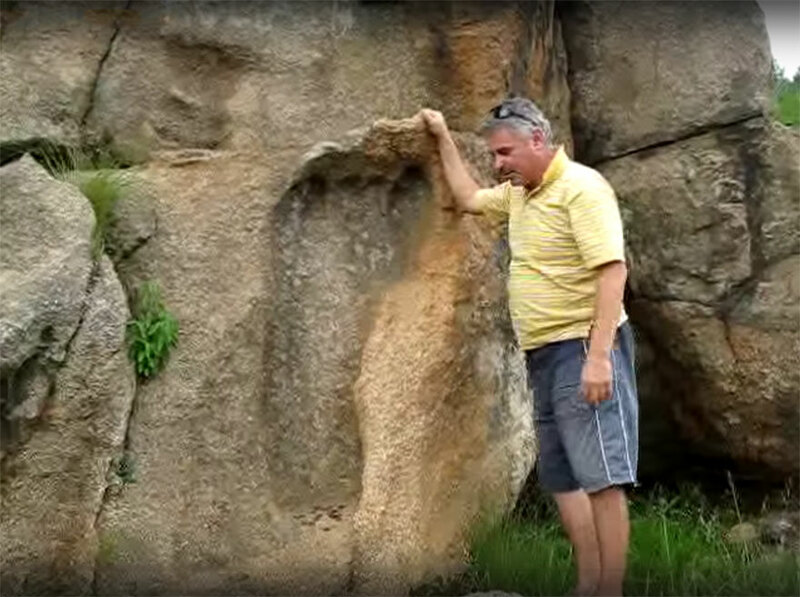 Thank you for the beautiful comprehensive pictorial and research on preserved giant and Holy footprints around the globe. In Srimad Bhagavatam, His Divine Grace Srila AC Bhaktivedanta Swami Srila Prabhupada puts the Sri Ramayana pastimes at 3 million years ago. 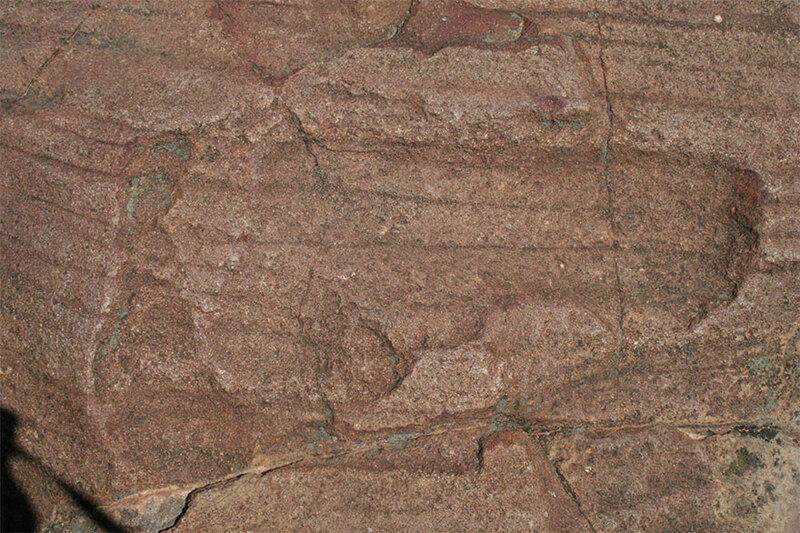 Also, Sri Hanumanji’s lotus footprints preserved in stone may be ancient, but let us always eschew referring to Sri Hanumanji in the past tense, as if he is gone from this world, as Lord Rama asked him to remain on Earth when He departed for the Transcendental Abode. Sri Hanumanji is currently very much alive, serving Sri Rama and helping faithful devotees worldwide. It is very pleasing to see the lotus footprints of the Divine being honored by flowers, obeisances and various festive decorations and conversely surprising to see photos where they do not appear to be, like Mother Sita’s or Sri Hanumanji’s lotus footprint in Andhra Pradesh, India. Interesting Biblical quote, largely unknown: ““There were giants in the earth in those days; and also after that, when the sons of God came in unto the daughters of men, and they bare children to them, the same became the heroes and famous warriors of ancient times.” Genesis 6:4” This information corresponds nicely with the warrior heros of the Mahabharata of 5,000 years ago, who were fathered in Mother Kunti, a great saintly human devotee and aunt of Sri Krishna by Dharmaraja, Vayudeva, Indradeva, gods of dharma and judgement, wind and heaven, respectively. 5000 years into Kaliyuga, it appears by the severe degradation of humanity that demigods, who continue to administer universal affairs, are no longer producing children in the wombs of human women. But they are still very much interested in the Earthly planet for one very good reason: His Divine Grace Srila AC Bhaktivedanta Swami Srila Prabhupada says that the Demigods are lining up to take birth in the Hare Krishna Movement so they can be blessed by Sri Guru and Sri Gauranga Mahaprabhu, the most recent and munificent incarnation of Sri Rama and Sri Krishna, to take advantage of the joyful and simple process of chanting Hare Krishna Hare Krishna Krishna Krishna Hare Hare, Hare Rama Hare Rama Rama Rama Hare Hare to purify themselves, attain complete spiritual enlightenment and go Back to Godhead, back to Home. 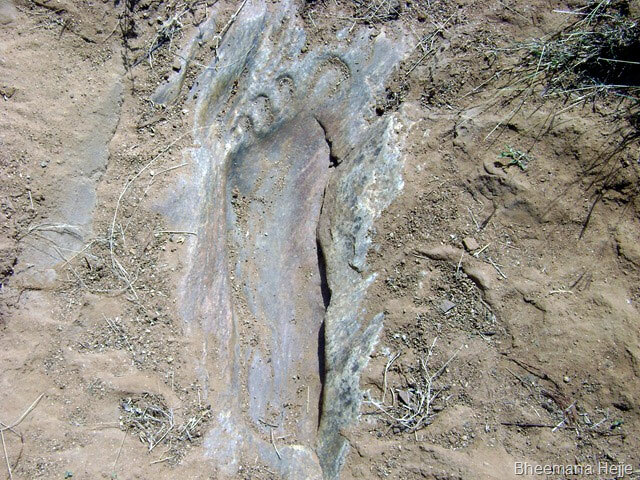 Indian government must do extensive research to prove this footprint related to our ramayana epic subjects. The whole world knows Ramayana originated frm India. PM Modi must allocate appropriate yearly budget to independent groups such SSRF or other new body to undertake this type of research before the christian backed groups labels hindu’s deities as aliens. Hello Editors & Readers, Hindu (Sanatan Dharma) has always invited controversies, debates, conflicts. Now which cult or religion is free and firmly believes. I heard that ruomours/spam have a day age. Also beleive that what has got name is real. Matter collected by Editor seems extraordinary with regard to footprints. I do not know much about any of Hindu Device Heoes. However every information reaching to me about them, takes me closer to them. I do not have studied matter in such depth so would not comment upon facts drawn. I am highly impressed. Moreover proud to a Hindu. Thanks. THEREFORE ITS AN ETERNAL CYCLE….!! Excellent articles you publish. I read them regularly. Thank you very much. Excellent work by the author. Jai Sri Ram. Jai Hanuman Ji. I’m proud to be a Hindu and give praise to our Lords. Brilliant article, and some great comments. An excellent information.Cogratulatios. Very much appreciated. It is greatness of GOD that wherever he goes he keeps his footprints for the people to believe that he is everywhere and with all – to save and guide the right path. In my view, there were two personalities in Ramayana, who were totally selfless. Hanuman and Guhan, who loved and revered Rama without expecting anything in return. I admire the people worshiping Hanuman all over our country. I wish everyone, apart from worshiping, should follow them and practice selflessness in life which would bring purpose and peace in our world. It is just excellent!!! Somebody thought Holy Ramayana is imaginary history, they could realize Holy Ramayana is real truth. God knows unbelievers also in suspicious minded, they need proof. This article will meet their doubt. Joy Shree Ram !! Joy Shree Honuman ! Joy Shree Devotees. 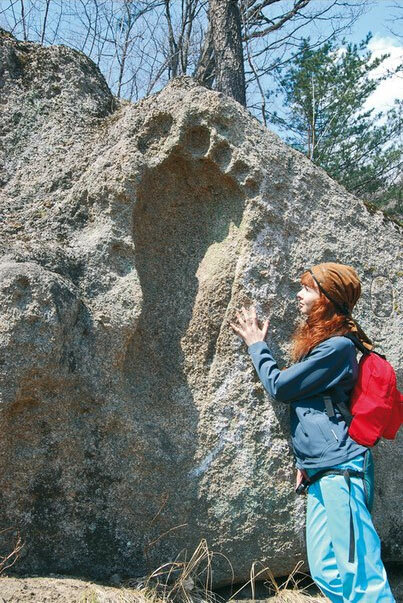 Very good article on giant foot prints. We would like to read similar ancient heritage articles. Many thanks for letting me to know about it. fanatastic. really a great job.much much thanks to you for giving me a chance to see this miracle.i love it. A very nice work. About the question of how it is visible in different countries, it is with today’s set up of countries and borders such doubts pop up. Hanumanji, with “ashtasiddhi” could have travelled anywhere at anytime and it goes without saying that there are things in the world which are not really explainable in ‘scientific’ terms (as it is normally used in today’s world). To understand such things, the pre-reqisite is that you must believe first; most of today’s critics do not possess this pre-reqisite and hence their confusion. Jai Hanuman, Jai Sriram !!! Good one. There is one thing to correct which I know. 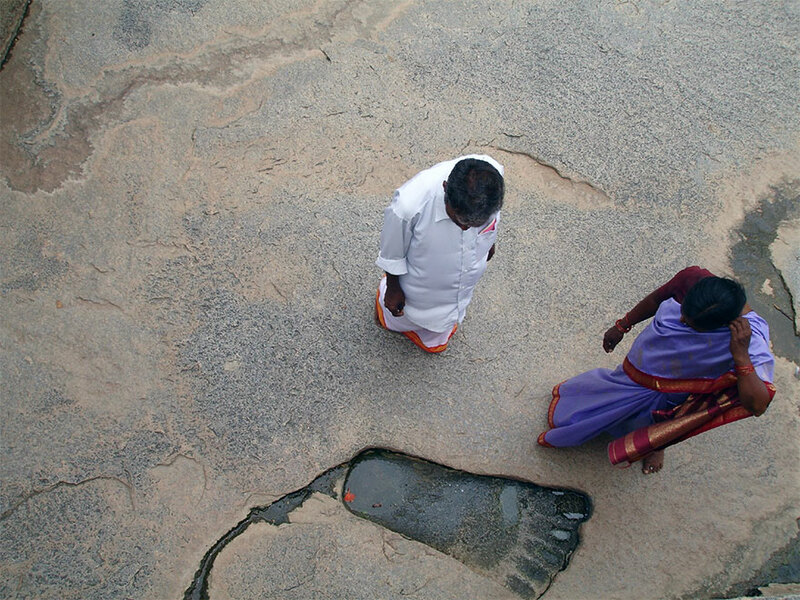 The footprint seen in Lepakshi is not Lord Hanuman’s it is Sita amma’s. During my childhood, my grandmother was the source of many stories from the Vedas and Puranas, which she used to recite to us before going to sleep. Although I was fortunate enough to read further on the Puranas & Vedas later, I can still recall whatever she recited. According to her, the Vedas mentioned that with every succeeding Yuga the size of human beings becomes smaller. In the Kali Yuga, man can attain a height upto 7 feet. In the Dwapara Yuga, he could attain upto 70 feet and the height increases by a factor of 10 in Treta and Satya Yugas. I am therefore not surprised by reading about the giant Footprints, but I feel truly humbled that my knowledge of ancient Hinduism is so limited. Very interesting information for the hindu community as well as for people of other faiths to understand the dimension of spirituality in which the hindu dharma existed and may be is achievable to an extent also. A great job. I have not seen these footprints as before. 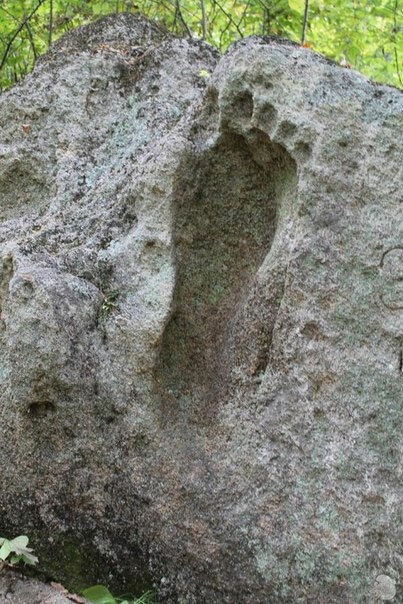 what i observed all footprints are on stone surface only.how to prove that all prints are belongs to lord hanuman. wonderful ! but needs more research to establish the credibility and authenticity. I was not knowing about these foot prints before. I have posted it on facebook also. I would like to thank the genius work of this great scholar/researcher/author to bring to the public such great photo graphs of the footprints of our beloved Pawan Putra Hanumanji, this is real eye opening for many. Thank you and may God bless you to continue your good works. Hare Krishna Hare Krishna Krishna Krishna Hare Hare!! Jai shree ram with jai hanuman!! !